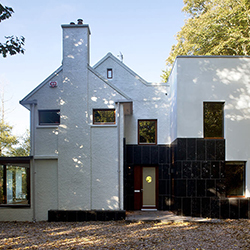 Carr Cotter Naessens Architects are an architecture and design studio based in Cork since 2001. Our work encompasses diverse briefs, scales and locations: from rural houses to urban masterplans, all are underpinned by a common design philosophy that is enquiring and rigorous. 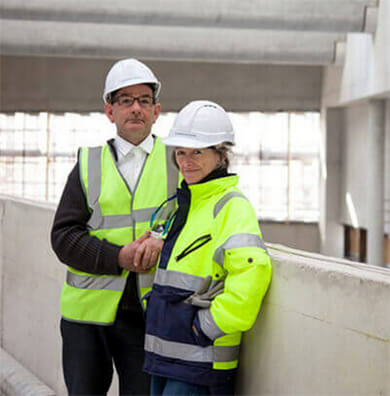 Our approach is consistent regardless of the size of project: a clear design strategy based on understanding of the site and cultural, functional and technical performance required and rigorous implementation of this strategy through to the fine detail. Our compact close-knit team provides professional service from inception to completion. Sustainability underpins our work and we believe that passive energy solutions should be seamlessly and holistically integrated into design solutions. 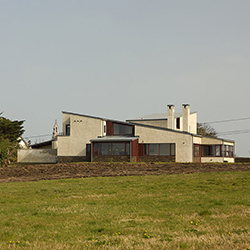 Carr Cotter Naessens are an accredited teaching practice at the Cork Centre for Architectural Education (UCC/CIT). 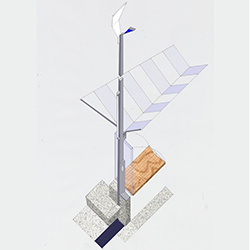 The practice output is informed by research through design: commissioned studies and design competitions. 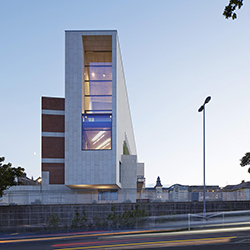 The practice was premiated in the two-stage international competition for the Central Library and Cultural Centre in Dun Laoghaire, held in 2007. 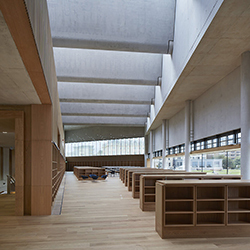 The building, dlrLexicon is now complete and receiving over 10,000 visitors a week. 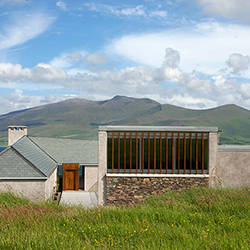 Carr Cotter Naessens are an RIAI chartered practice, accredited RIAI Conservation Grade 3. 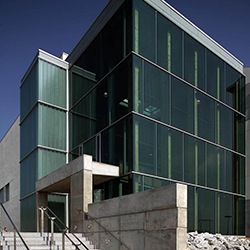 The practice has proven expertise in mixed-use developments in urban locations. 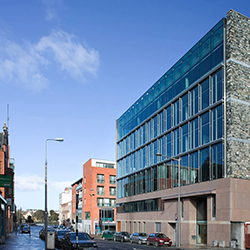 We have completed a number of projects that have contributed to the regeneration of Limerick city:Howleys Quay, Bishopsgate and the Grainstore (no 17 Henry Street ) which received the RIAI Award 2007 for best commercial building. These projects operate on a number of levels: for the users they provide flexible space to work, live and trade. On a civic scale they offer the opportunity to make contemporary interventions of lasting value to the public realm. We welcome the opportunity to provide clear solutions for complex challenging sites, working with clients and building users to develop and articulate their project requirements. Projects in Cork city include an integrated masterplan and conservation study of the historic South Presentation Convent in Douglas Street, Cork. Leading a multi-disciplinary team, we prepared a conservation plan and development proposals for this significant historic site. The first constructed phase of this project, the repair and restoration of the chapel building fabric was completed in 2011. The practice has completed education buildings including the Solas Building for Nursing and Health Science for the Institute of Technology Tralee and the recently completed Regional Training centre for Rehab in Limerick. 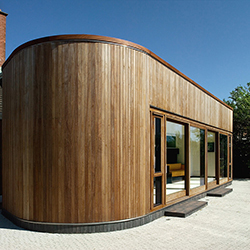 The practice has completed a number of smaller projects in rural/village locations. A clear architectural strategy is important, as well as an understanding of the local context, which is invariably of outstanding natural beauty or historic heritage. A sense of place is important to us, as well as an authentic material aesthetic. Regardless of brief and budget, each project is customised to suit the needs of the users with the aim of unlocking the potential for space and light that is inherent in every site. Louise Cotter graduated from the School of Architecture University College Dublin in 1983. Before returning to Ireland in 2001, Louise worked with Wickham van Eyck, Colquhoun and Miller and Dixon Jones on cultural and educational projects. Louise Cotter was chair of the RIAI Southern Region from 2005 through 2007 and is a regular contributor to the Irish Arts Review and Architecture Ireland. She was a member of the editorial board of the Irish Arts Review and was on the editorial team for “A Guide to Cork’s 20th Century Architecture (Cork Architectural Press 2010). Louise Cotter is an assistant lecturer at the School of Architecture, CCAE. David Naessens graduated from the School of Architecture University College Dublin in 1983. He has worked with Rick Mather, Branson Coates, Koetter Kim in Boston. USA, and Dixon Jones. His work has been extensively published and exhibited. He has a particular interest in the planning of Irish towns and has completed masterplans for town extensions in Midleton, Clonmacken (Limerick) and Newport. David Naessens is an experienced teacher and is currently unit leader in the School of Architecture, CCAE, developing an on-going interest in the planning and design of public space.